The articles published in Global Journal of Research and Review have been cited 13 times by eminent researchers all around the world. Following is the list of articles that have cited the articles published in Global Journal of Research and Review. Nowinszky L, Puskás J. CHANGES IN THE NUMBER OF MACROLEPIDOPTERA INDIVIDUALS AND SPECIES CAUGHT BY LIGHT-TRAP, IN CONNECTION WITH THE GEOMAGNETIC M-INDEX. ACTA ENTOMOLOGICA SERBICA. 2016 Apr 19;21(1):39-47. Singh A, Mandal A, Mohan S, Seth R. Primary Pulmonary Primitive Neuroectodermal Tumor of Lung in a Child. American Journal of Cancer Case Reports. 2016 Apr 21;4(1):31-7. PAULA FILHO GX, BARREIRA TF, FREITAS GB, MARTINO HS, SANT’ANA HE, PINHEIRO M. WILD PINEAPPLE (ANANAS BRACTEATUS (LINDL. ), VAR. ALBUS) HARVESTED IN FOREST PATCHES IN RURAL AREA OF VIÇOSA, MINAS GERIAS, BRAZIL: EXCELLENT SOURCE OF MINERALS AND GOOD SOURCE OF PROTEINS AND VITAMIN C. Revista Brasileira de Fruticultura. 2016;38(3). El-Sabrout K, Aggag SA. Associations between single nucleotide polymorphisms in multiple candidate genes and body weight in rabbits. Veterinary World. 2017 Jan;10(1):136. El-Sabrout K, Aggag SA. Use of inter simple sequence repeats and protein markers in assessing genetic diversity and relationships among four rabbit genotypes. World Rabbit Science. 2015 Dec 23;23(4):283-8. Olotuah AO. Climate-Responsive Architecture and Sustainable Housing in Nigeria. Global Journal of Research and Review. 2015 Jul 31;2(4):094-9. Olotuah AO. Assessing the Impact of Users’ Needs on Housing Quality in Ado-Ekiti, Nigeria. 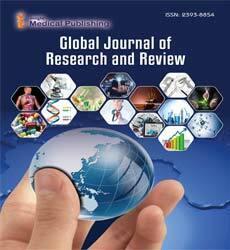 Global Journal of Research and Review. 2015 Jul 31;2(4):100-6. Reis IC, Codeço CT, Degener CM, Keppeler EC, Muniz MM, Oliveira FG, Cortês JJ, Monteiro AF, Souza CA, Rodrigues FC, Maia GR. Contribution of fish farming ponds to the production of immature Anopheles spp. in a malaria-endemic Amazonian town. Malaria journal. 2015 Nov 14;14(1):452. Romano N, Ayob NM, Amin NS, Kamarudin MS. Acute and sub-chronic toxicity of a trypsin-modulating oostatic factor (TMOF) on the growth, body composition and histopathology of red hybrid tilapia, Oreochromis sp. as a non-target organism. Journal of Biopesticides. 2015 Jan 1;8(1):45. Shneine JK, Alaraji YH. Chemistry of 1, 2, 4-Triazole: A Review Article. Spectroscopy.;9(9b):9c. SHAHI SK. Agricultural damages due to drought and its analysis in parts of district Patna, using GIS Techniques (Doctoral dissertation, Tata Institute of Social Sciences Mumbai). Kamitani M, Nagano AJ, Honjo MN, Kudoh H. RNA-Seq reveals virus–virus and virus–plant interactions in nature. FEMS Microbiology Ecology. 2016 Nov 1;92(11):fiw176.